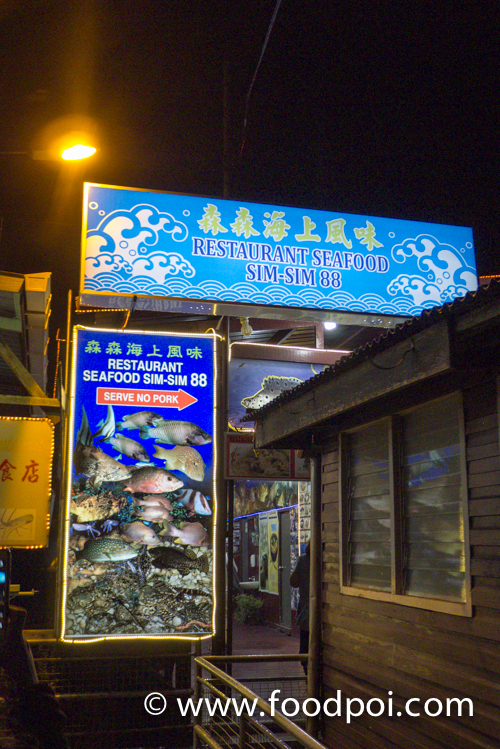 The first night in Sandakan, I was introduced to the local famous tourist restaurant known as Restaurant Seafood Sim Sim 88. 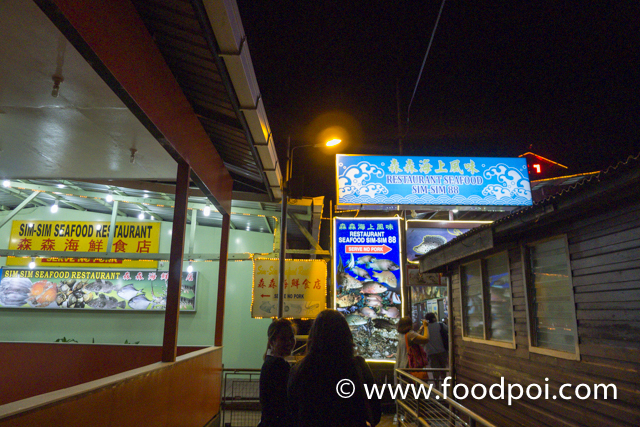 Being a place that renowned for seafood, this is a MUST try. The location is at a place called Sim Sim. Basically Sim Sim is an ocean settlement where all the peoples stay and make a living there. 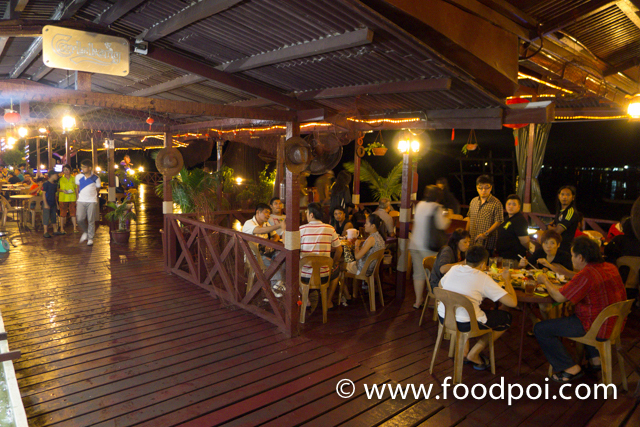 Most of the people here open a seafood restaurant or coffee shop that sells breakfast. The seafood restaurants here mostly are pork free. Since the seafood are so cheap and fresh why you still need pork? We are sitting on some wooden huts that built on a wooden platform above the ocean. 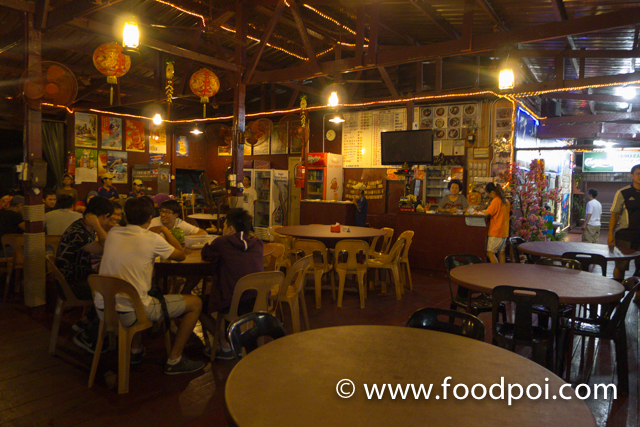 The place is non air conditioned and can get warm when not raining. 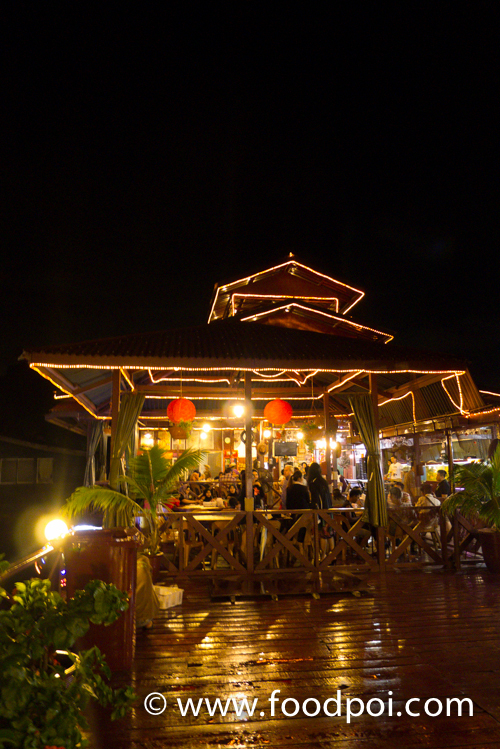 The place are clean and surrounded by the villagers day to day life ambiance. The look of the cashier counter and entrance. 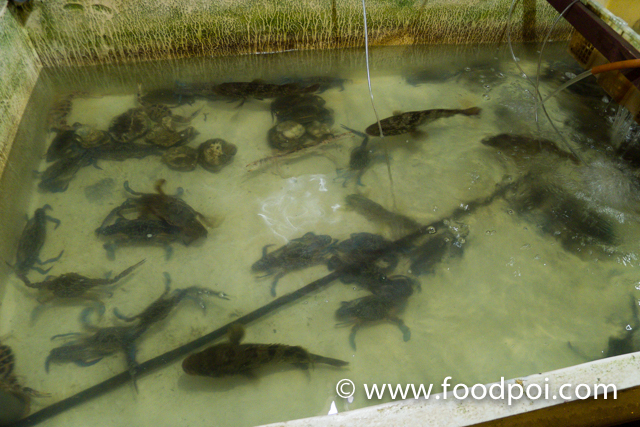 Fresh live crabs and fishes tank. Variety of fishes for you to choose to choose from. 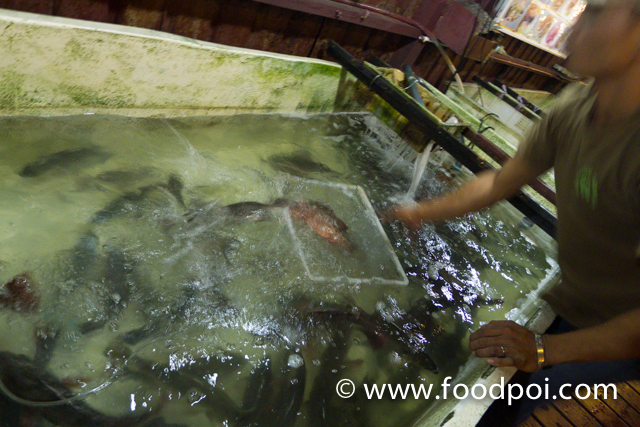 All these fishes are catch by small fishermans and then sold to the restaurants. 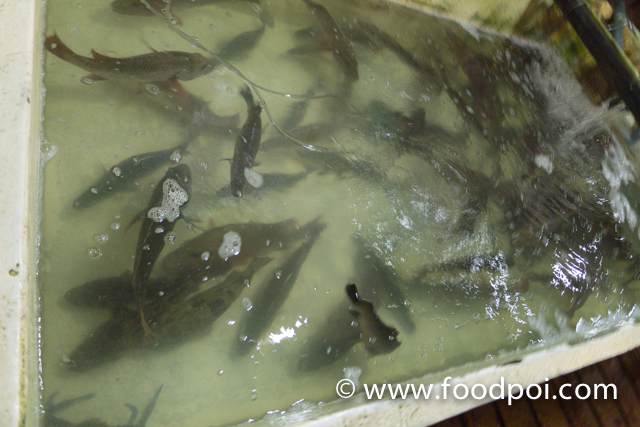 All the fishes are fresh from the sea and not from breeding farm. Like chickens the free range chicken taste better as they had plenty of exercise in the wide ocean. You just need to go to the tank and point your finger. They will catch and cook for you. Bigger than my palm sized fresh oyster. 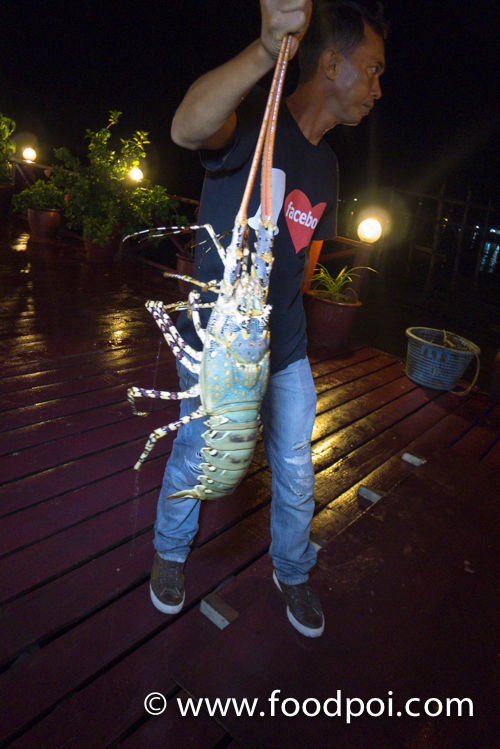 Huge lobster that gain a lot of attention. According to the locals this place price are slightly higher but still we find it reasonable for the quality and freshness. For the starter we are having a steamed oyster. I know some of you may say this is wasted. You all would love it on tobasco sauce and lemon. But what to do? We need to try their specialty. 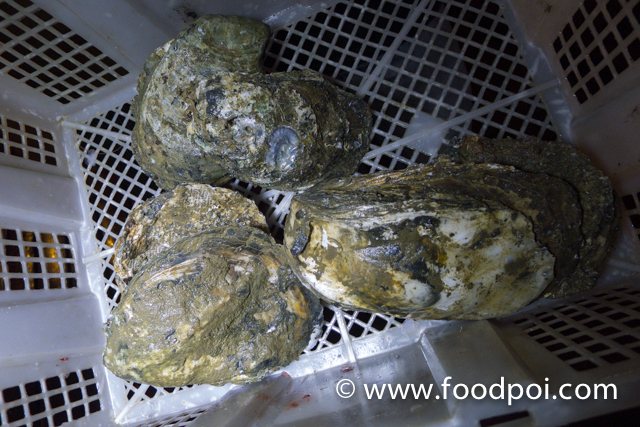 I place the small sauce plate there to indicate the size of the oyster. 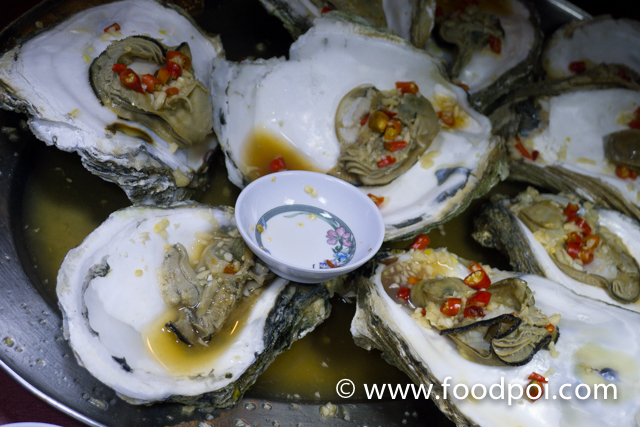 The oyster are steamed with lime juice and birds eye chilli. It is juicy and flavorful. 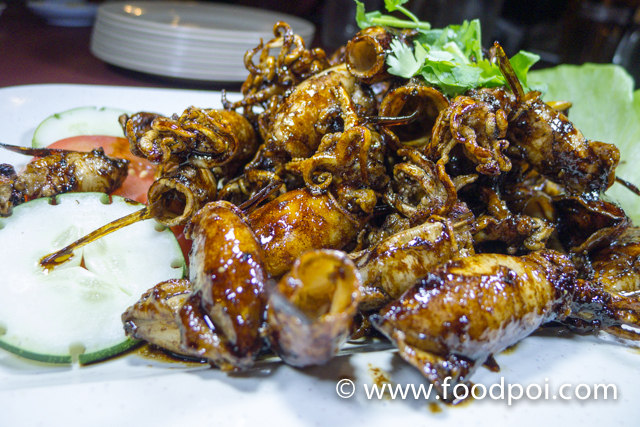 Fried baby squid and tossed with black soya sauce. I would say this is a good dish for a start and also for snacks. They are kinda chewy and the taste rely on the caramelized coating of the sauce that goes with it. Don’t judge by its look and attack a big bite on the fish. You will regret. This is not a piece of normal fried fish which normally it smells so good and you will cut a quarter and place it in your mouth. 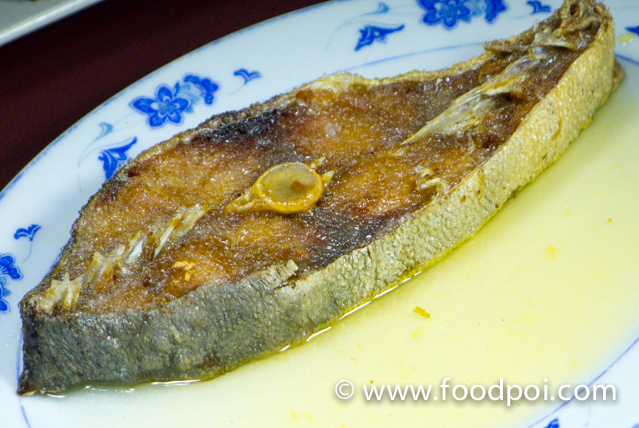 If you eat salted fish that way, you will turn speechless. I love the idea of pairing the salted fish with lime juice. Something to bring the kick out of the good quality salted fish. 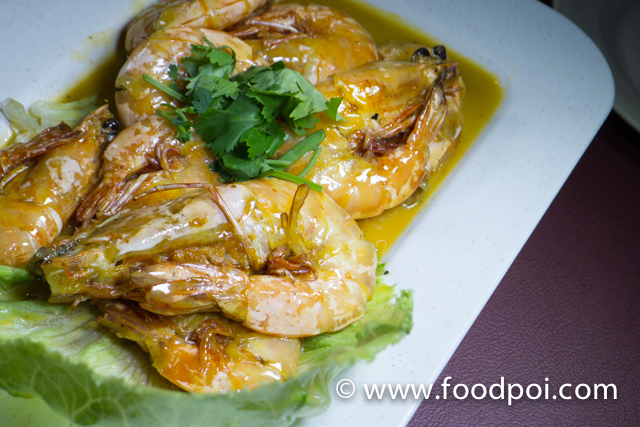 Juicy and succulent prawns pan fried with butter sauce. Not to be missed. 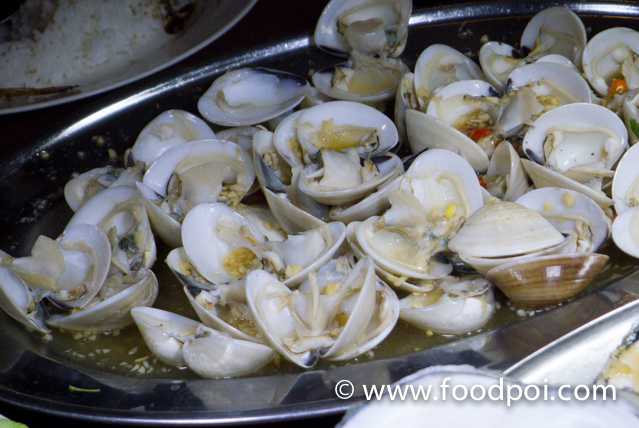 Steamed Sar Bak Clam with Ginger and garlic with birds eye chilli. 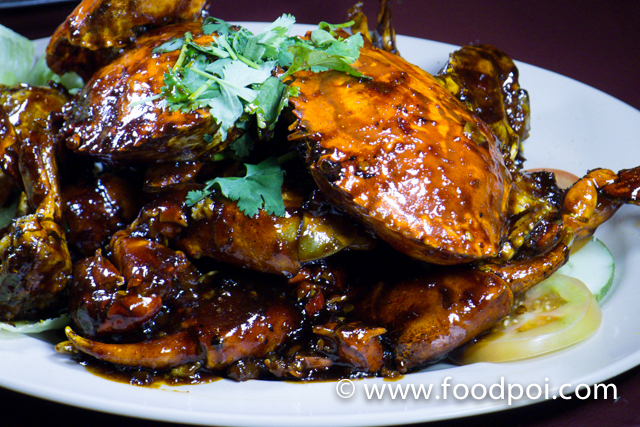 Kam Heong crab is one of the common style in preparing crabs. 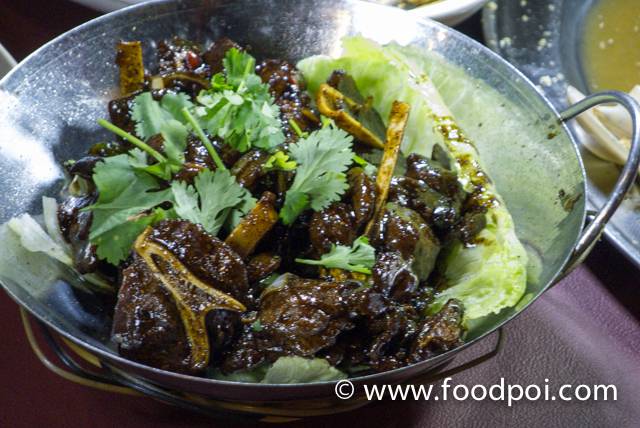 The kam heong sauce is normally a house specialty which each having different ingredient mix in it. 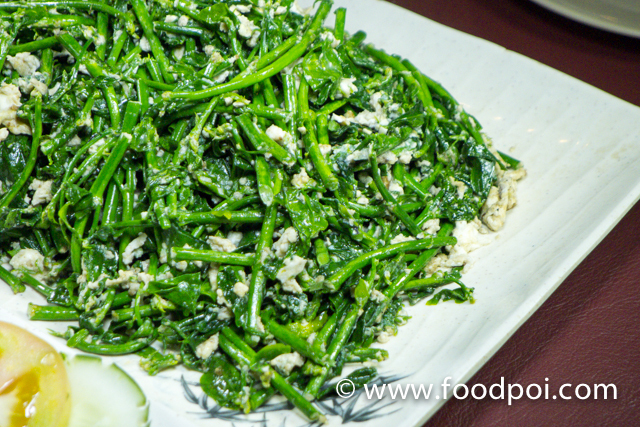 Curry leaves, garlics, and chilli are the common ingredient in all kam heong sauce. 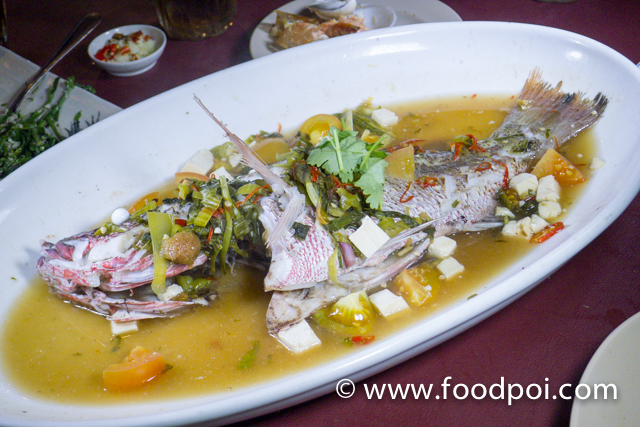 The tangy and slightly spicy sauce steam with the fish are a good way to bring out the appetite. The fish also is good to be steamed with light superior soya sauce. Tender lamb chop prepared honey glazed and dark soya sauce. I always scare the lamb smell but here they prepare till the smell reduce to minimum. 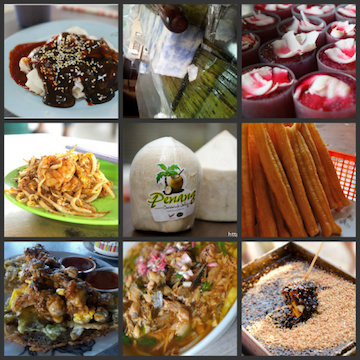 Just tell them you got the contact from www.foodpoi.com and you will get special offers or get more value for your tour.